27:2 And when they performed the akedah (binding) Him, they led [Him] away, and delivered Him to Pontius Pilatos the governor. 27:4 Saying, I have sinned in that I have betrayed the innocent blood. And they said, What [is that] to us? see you [to that]. 27:5 And he cast down the shiklei kesef (pieces of silver) in ha mikdash, and departed, and went and hanged himself. 27:6 And the Rashei (Chief) Ha Kohenim took the silver pieces, and said, It is not mutar (permissible) for to put them into the treasury, because it is the price of blood. 27:8 Wherefore that field was called, The field of blood, to this day. 27:10 And gave them for the potter's field, as the Adonay appointed me. 27:11 And Yehoshua (יהושע) stood before the governor: and the governor asked Him, saying, Art you the Melekh the Yehudim? And Yehoshua (יהושע) said to Him, You sayest. 27:12 And when he was accused of the Rashei (Chief) Ha Kohenim and Zekenim (elders), he answered nothing. 27:13 Then said Pilatos to Him, Hearest you not how many things they witness against thee? 27:14 And he answered Him to never a word; insomuch that the governor marvelled greatly. 27:15 Now at [that] feast the governor was wont to release to the people a prisoner, whom they would. 27:16 And they had then a notable prisoner, called Bar-Abba [son of the father]. 27:17 Therefore when they were gathered together, Pilatos said to them, Whom will you that I release to you? Bar-Abba [son of the father], or Yehoshua (יהושע) which is called Mashiach? 27:18 For he knew that for envy they had delivered Him. 27:19 When he was set down on the judgment seat, his wife sent to Him, saying, Have you nothing to do with that just man: for I have suffered many things this day in a dream because of Him. 27:20 But the Rashei (Chief) Ha Kohenim and Zekenim (elders) persuaded the multitude that they should ask Bar-Abba [son of the father], and destroy Yehoshua (יהושע). 27:21 The governor answered and said to them, Whether of the twain will you that I release to you? They said, Bar-Abba [son of the father]. 27:22 Pilatos said to them, What shall I do then with Yehoshua (יהושע) which is called Mashiach? [They] all say to Him, Let Him be impaled. 27:23 And the governor said, Why, what evil has he done? But they cried out the more, saying, Let Him be impaled. 27:24 When Pilatos saw that he could prevail nothing, but [that] rather a tumult was made, he took water, and washed [his] hands before the multitude, saying, I am innocent of the blood of this just person: see you [to it]. 27:25 Then answered all the people, and said, His blood [be] on us, and on our children. 27:26 Then released he Bar-Abba to them: and when he had scourged Yehoshua (יהושע), he delivered [Him] to be impaled. 27:27 Then the soldiers of the governor took Yehoshua (יהושע) into the common hall, and gathered to Him the whole band [of soldiers]. 27:29 And when they had platted a crown of thorns, they put [it] upon His head, and a reed in his right hand: and they bowed the knee before Him, and mocked Him, saying, Hail, Melekh Yehudim! 27:30 And they spit upon Him, and took the reed, and smote Him on the head. 27:31 And after that they had mocked Him, they took the robe off from Him, and put his own raiment on Him, and led Him away to impale [Him]. 27:32 And as they came out, they found a man of Cyrene, Shimon by name: Him they compelled to bear his stauros (Roman stake). 27:34 They gave Him vinegar to drink mingled with gall: and when he had tasted [thereof], he would not drink. 27:35 And they impaled Him, and parted His garments, casting lots: that it might be fulfilled which was spoken by ha Navi, They parted my garments among them, and upon my vesture did they cast lots. 27:37 And set up over his head his accusation written, This is Yehoshua (יהושע) Melekh haYehudim. 27:38 Then were there two thieves impaled with Him, one on the right hand, and another on the left. 27:40 And saying, You that destroyest ha mikdash, and buildest [it] in three days, save thyself. If you be Ben EloHim, come down from the stauros (Roman stake). 27:42 He saved others; Himself he cannot save. If he be the Melekh Yisrael, let Him now come down from the stauros (Roman stake), and we will believe Him. 27:43 He trusted in Elohim (אלהים); let Him deliver Him now, if he will have Him: for he said, I AM Ben EloHim. 27:44 The thieves also, which were impaled with Him, cast the same in his teeth. 27:45 Now from the sixth hour there was darkness over all the land to the ninth hour. 27:47 Some of them that stood there, when they heard [that], said, This [man] calleth for Eli'yahu. 27:48 And straightway one of them ran, and took a spunge, and filled [it] with vinegar, and put [it] on a reed, and gave Him to drink. 27:49 The rest said, Let be, let us see whether Eli'yahu will come to save Him. 27:50 Yehoshua (יהושע), when he had cried again with a loud voice, yielded up the spirit. 27:53 And came out of the graves after his resurrection, and went into the set apart city, and appeared to many. 27:54 Now when the centurion, and they that were with Him, watching Yehoshua (יהושע), saw the earthquake, and those things that were done, they feared greatly, saying, Truly this was Ben EloHim. 27:56 Among which was Miryam from Magdala, and Miryam the mother of Yaakov and Yosef, and the mother of Zavdai's children. 27:58 He went to Pilatos, and begged the body of Yehoshua (יהושע). Then Pilatos commanded the body to be delivered. 27:60 And laid it in his own new tomb, which he had hewn out in the rock: and he rolled a great stone to the door of the sepulchre, and departed. 27:61 And there was Miryam from Magdala, and the other Miryam, sitting over against the sepulchre. 27:63 Saying, Sir, we remember that that deceiver said, while he was yet alive, After three days I will rise again. 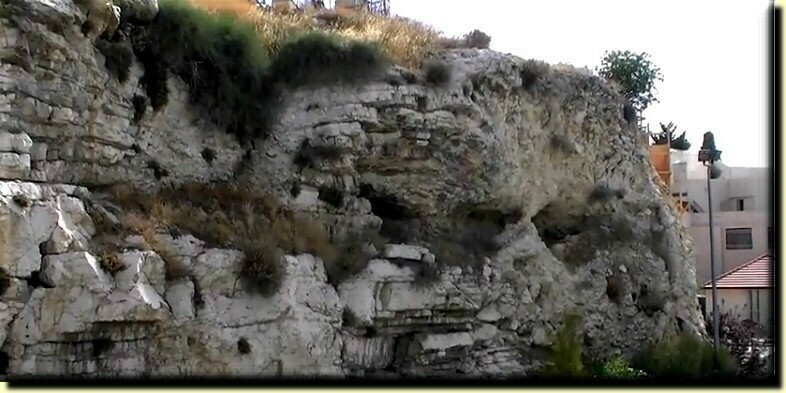 27:64 Command therefore that the sepulchre be made sure until the third day, lest His taught ones come by night, and steal Him away, and say to the people, He is risen from the dead: so the last error shall be worse than the first. 27:65 Pilatos said to them, You have a watch: go your way, make [it] as sure as you can. Yosef of Ramatayim (Mattityahu 27:57, Markos 15:43, Loukas 23:50) and Nakdimon (Yochanan 3:1, Yochanan 7:50) were two highly placed Messianic Jews, both members of the Sanhedrin (Loukas 23:50-51, Yochanan 7:50-52); both secret believers. he should, after acquiring some knowledge enabling him to defend his views (1 Kefa 3:15-16), be willing to set fear aside and stand openly with Yeshua the Messiah. Yochanan does not disparage them for hiding their faith (see Yochanan 9:22, Loukas 12:8-9).